Charlton Heston returns to the defining work of his career, with this spectacular new animated version of the best-selling literary classic by Lew Wallace. 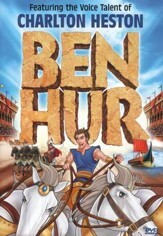 During the first century A.D., Judah Ben-Hur is a young Hebrew prince thrown into slavery by the Romans after a tragic accident, who wins his way back to his home and family on a heroic adventure of discovery. 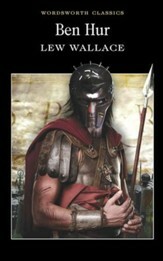 Judah's love for a beautiful slave girl is threatened by the bitter conflict dividing two former friends, and his triumph is set against the backdrop of the historic struggle between a captive people and a mighty empire. 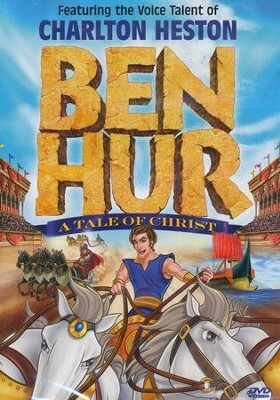 From an exciting sea battle and a thundering chariot race to the dramatic events surrounding the life and death of Christ, this is an epic tale of love, redemption, forgiveness and faith to captivate viewers of all ages. Approx. 80 minutes. 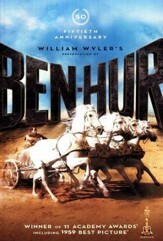 I'm the author/artist and I want to review Ben Hur: A Tale of Christ, DVD.